deliberations and initiate decisions that will improve the lives of the generality of Nigerians. 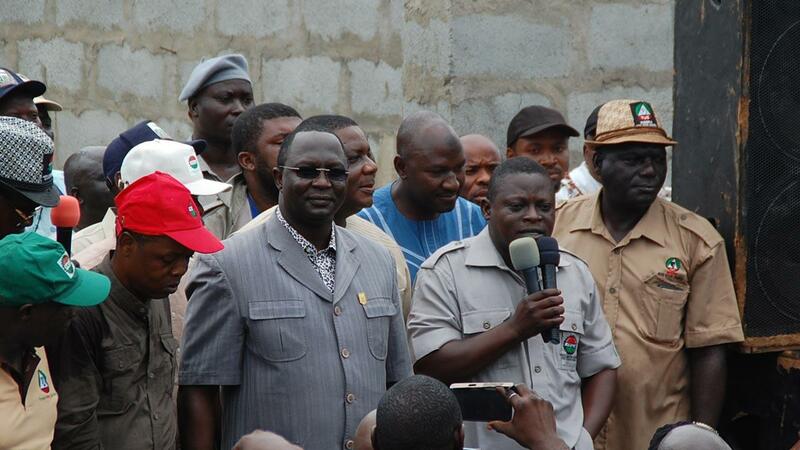 Mr Ayuba Wabba, NLC President, made the call in an interview with reporter on Friday in Abuja. President Muhammadu Buhari, on Thursday, appointed a 30-member Tripartite Committee for the negotiation of the New National Minimum Wage for workers in the country. The committee has its members across both federal, state and the private sector and would be inaugurated on Nov. 27. While commending the President for the appointment of the committee, Wabba said it was timely and long overdue. “We hope that after the inauguration, the committee can commence work immediately so that we can cover some mileage and also cover the times that have been lost. “This is something that workers have long anticipated and our expectation is that we want a speedy process and that the fact that the issues are very obvious. “If you look at the exchange rate, the N18,000 Minimum Wage of 2011 when we signed the agreement, it was almost equivalent to N110 dollars; today, the N18,000 is less than 46 dollars. He, however, expressed dismay that there were places where pensioners were still receiving less than N4000 and that this called for an urgent consideration. The NLC president said that the consideration was imperative to address the issue of social imbalance, inequality and the wide gap of poverty in the country. “ As you are aware, there is lack of employment in the country, therefore, workers have a lot of burden like taking care of their children and other dependents. “So, there is no worker today that does not cater for dependents. “Therefore, our expectation is that the process must be driven with all commitment and above all, they should take into consideration, the condition of workers and pensioners,” he added.